The pearly whites are the first thing people see in a friendly smile. Besides the body, the teeth are among our most valuable assets. Depending on insurance, your teeth may even be more important to you than your health. Simply getting a tooth pulled today can cost upwards of one-hundred dollars. Even with the best insurance, a crown can be unaffordable, as it is considered cosmetic. Tooth decay starts with an attack on enamel in the form of acid from sugars called plaque. Plaque can be washed away fairly easily but can become tartar if let unattended too long. Upon my last visit to the dentist, I was informed that I had developed three cavities on the outside of my back teeth. This was strange because I had not changed any of my habits, and I had even been flossing regularly and taking daily vitamins.I thought nothing of it, until the other day when my wife came home from my daughter's three-year-old well check. She told me that while the doctor was busy applying a fluoride gel for her oral health, he recommended abstaining from gummy vitamins and too many sweets. The strange request sparked my interest. Through research I found out that gummy vitamins as opposed to their counterparts, have more than seven times the sugar content. It is no wonder that kids are more apt to take their morning supplements. In fact, my wife and I had found it so easy to take our vitamins, that we had just purchased the gummies for our four children as well. Who knew that the health benefits came with a cost? The real problem occurs when the sugary and gummy material gets lodged between the teeth in the morning and resides there all day. The many long uninterrupted hours between morning and nighttime brushing can be devastating to teeth, giving sugar free reign to work at the enamel. If you are also conscientious about your child's caloric intake, perhaps a good start to the morning may not be in a sugary supplement, after all. Of course, there are ways to curb the potential damage caused by gummy vitamins. The best way is to be active in monitoring when your child takes their vitamins. Taking the supplement before brushing the teeth in the morning and before brushing their teeth at night is nominal. Try and avoid allowing your kids to take their gummies after brushing in the morning, and right before bed. You want the sticky stuff to spend as little time as necessary between those teeth. For comparison, I took a photo of the gummy vitamins I currently take and referenced the label against a popular brand of solid vitamin. 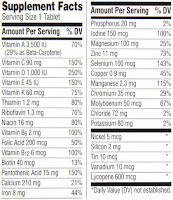 To my surprise, there was far more nutritional value in the solid vitamin all around. So what are our alternatives to the sweet treats of gummy vitamins today? The answer is in our past. 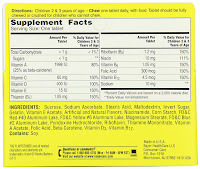 We had fun vitamins as children and the sugar content was not so heavy. They were in the shape of those fun loving cavemen, the Flintstones. 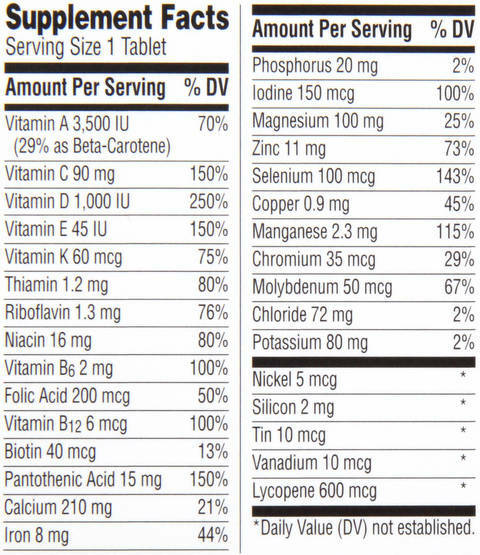 When I looked back at the label for the original Flintstone vitamins, I was quite impressed with the nutritional value and was happy to see that they are still a pediatrician's number one choice. 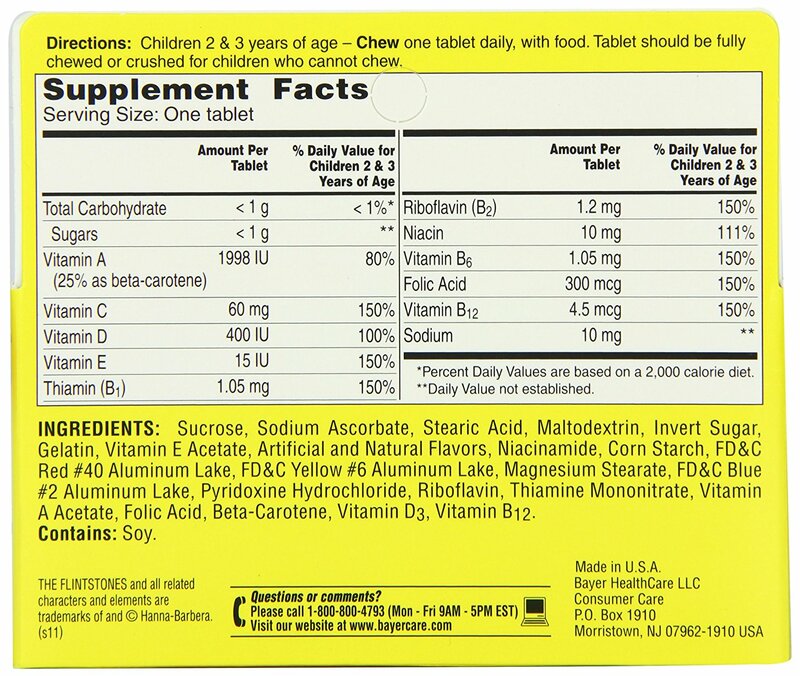 The important thing to remember when shopping for vitamins, is to read the labels. It can be hard to remain compliant to a supplemental regimen, and even now, the old saying still comes back to haunt us. "If something seems too good to be true, then it probably is."